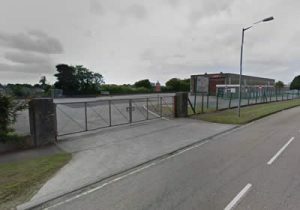 Provided are contact details for Camborne Driving Test Centre, test route tips, test booking information and help passing the driving test in Camborne. Camborne Driving Test Centre is situated in an urban environment where town roads will include roundabouts, busy junctions and crossroad on the driving test. Rural roads are likely to feature. Being high speed, narrow lanes and sharp bends, the represent a hazard for learner drivers. See the country road driving tutorial for advice. A good knowledge of all driving test manoeuvres (including the new driving test manoeuvre) and the emergency stop is essential. To gain a better understanding of the various road types and traffic systems that you are likely to encounter during your test from Camborne Driving Test Centre, visit our driving test routes section. If your driving test centre is located in a busy area, it may be of benefit to book your driving test in between the times of 10am and 4pm. This way you will miss out on rush hour traffic that can be problematic for learner drivers. Alternatively, some driving test centres offer test bookings on Saturdays. Driving test fees at the weekend are increased. Driving tests cannot be booked through the test centres directly. To book a driving test, there are 2 options; by phone or online. The book a driving test section contains the DVSA telephone numbers for booking a practical driving test at Camborne driving test centres by phone. This telephone number directs you to an automated test booking line, although if you browse the option you can talk to a assistant. To book your driving test online for Camborne Driving Test Centre, see the book a driving test section for all DVSA online test booking information. 3 working days notice is required to cancel the driving test at Camborne if you require a full refund. The same conditions apply if you wish to reschedule. Cancellations and rescheduling can be done via the contact details above. Though it is possible to call driving test centres directly, if you wish to book or alter a driving test, this must be done via the DVSA (see above). Camborne Driving Test Centre telephone number may be either located on this page or via the driving test centre contact numbers section. Test centres can be contacted only for an up to date status of tests, such as whether they are still being conducted in bad weather for example. See driving tests in bad weather for further information. In order to help others that are taking their driving test, or to simply tell us whether you passed or failed your driving test, write a review of Camborne Driving Test Centre. Rate this driving test centre based on your experience using them, what was your examiner like (please don’t name individuals) and how difficult were the test routes? It’s quick and simple – no signup necessary and only your nickname will be displayed.